This was the somewhat confusing chant from Charlottesville that echoed in news reports from the far-right march in August 2017. 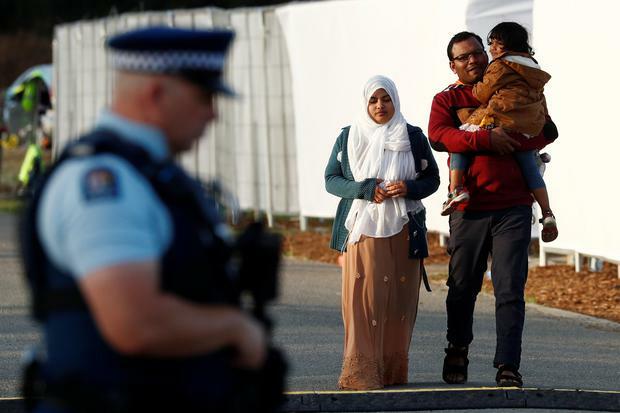 We have now seen its most recent manifestation in the Christchurch mosque massacre. The murderous potential of such “replacement” conspiracy theories is as clear as the only viable response: true internationalism. In 2012, before the so-called “alt right” had begun to draw together white nationalists across the world, Richard Spencer fashioned himself an academic. He had taken over the National Policy Institute and formed the Radix Journal, the first (and only) print issue of which he titled The Great Erasure. By branding his alleged manifesto with that phrase, the alleged Christchurch shooter lent his 79 pages a resonance for those seduced by that narrative. The alleged shooter's screed reflects the way that white nationalists re-imagine themselves: the real holders of diversity, standing tall against a globalist force that wishes to wash away identity and distinction. Such delusions of grandeur conjured up by cowards who glorify the slaughter of women and children expose the self-evident emptiness of their claims. Their hatred of Muslims comes not from some ambiguous European culture (influenced as it has been by continuous contributions from the Muslim world) but from the need for a scapegoat that arises when lazy people seek to claim responsibility for hundreds of years of historical advances they had no hand in, simply by dint of their skin colour. The mosque and its worshippers, equal parts foreign peoples and foreign religion, are seen by the alleged shooter as invaders, washing away a country's identity rather than contributing to it. Following on from “lone-wolves” of the decades before him, the suspected shooter takes the deterioration of the public white nationalist movement as tantamount to the decline of Western civilisation and chooses to stand against time and take direct action. Such a horrifying outcome is, in many ways, the ultimate and absurd outcome of an ideology that draws on and creates hate and alienation. The source of this desperation comes from within – not just the white nationalist movement but white communities themselves. We believe that a form of cultural panic has set in among some white communities, preserved through white flight and gentrification and fear of an encroaching minority status. The most extreme version of this panic finds a voice in the “white genocide” myth – the idea that, starting in South Africa, whites are being forced out of existence, either through acts of violence or through demographic replacement. It is true that, in the US, census projections based on current trends have “whites” ceasing to be an absolute majority of the population by 2045. In Britain, Muhammed has become one of the most common baby names, comparable to staples like John or Oliver. But for the alleged shooter, the world isn’t just changing, his people are losing. Instead of opening up to the conditions and possibilities of the modern world, the alleged shooter and others who espouse his vicious and deadly ideology seek to retrench their own invented identity. And there is no paucity of people willing to espouse those views. For Donald Trump, the Alternative for Deutschland, the Austrian Freedom Party, or the Front National, immigrants are portrayed as an invading horde. By connecting latent racism and Islamophobia to resentment over austerity, the far right has parlayed the influx of refugees from the war in Syria and other Middle Eastern conflicts into huge gains. The white nationalist and nativist movements scorching the West right now have fostered a desperate situation in the minds of their followers who see violence as the only logical conclusion not just because they have lost the capacity to reason but because they loathe reason on principle. To oppose this movement of fear and shame, we must build an internationalist movement of liberation with equality at its heart. The only response to the hallucinatory realm of white rage is a return to reality. We must work hard to break through the isolation that leads people to believe that disharmony and ethnic violence will actually bring about a better world. Through the hard work of community organising in rural and remote areas, where opinions on world events are often shaped more by demagogic news spin than personal experience, we can locate real needs, improve on community connectivity, and promote freedom and equality against alienation and ignorance. The attack at the Al Noor and Linwood mosques is terrifying not just because it is the high water mark of the shocking string of racist attacks that have become our new normal, but because it only represents the current limit. The climate of white anxiety has reached a fever pitch, and as this rhetoric escalates (and the organised white nationalist movement declines) we can expect to see more lone-wolves; more horror; more fear. It has never been more important that internationalism prevails, and whether it does or not is entirely up to us, how veracious we decide to be in confronting a white nationalist movement and whether or not we choose to be one community in defence of one another.